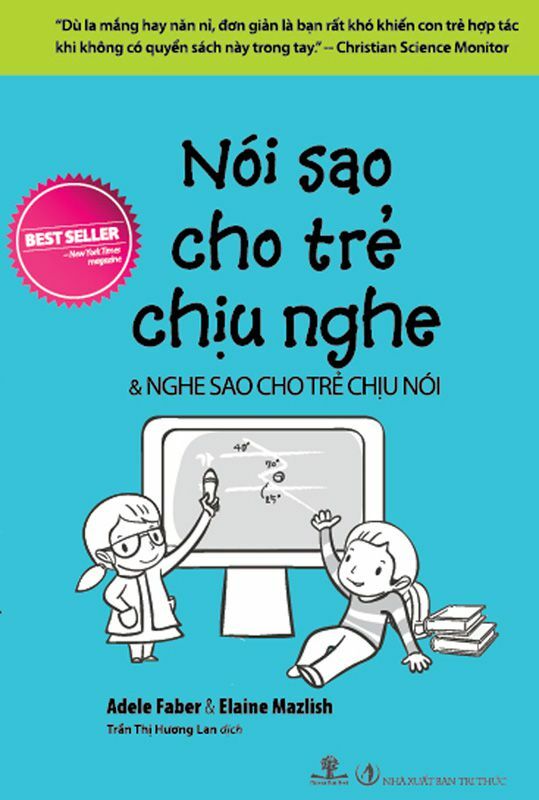 Và nghe sao cho trẻ nói? Có sách đấy, hãy đọc sách. The only way to get through to a child and change their behavior is to acknowledge their feelings. Pictures this: you’re shopping for groceries (hiệu tạp hoá) with your five-year-old and he suddenly starts shrieking (hét) “I’m hungry! I want food now!” What do you do? Many of us would succumb (không chống nổi) to shouting back at him or snap (giọng chua cay) and tell him to shut up. But we he listens? No. He’ll keep on screaming! Instead of blaming (đổ lỗi) the child, what can you do to pacify (làm dịu) the situation? A lot of time, kids don’t listen to their parents because their feelings aren’t being acknowledged (nhìn nhận). A child’s behavior is tied (bị rằng buộc) to how he or she feels, and often when we communicate with a child, we don’t address this. Demanding that your child be quiet in the supermarket overlooks his feelings. After all, behind his tantrum (cơn giận) lies (dối trá) hunger and probably frustration (sự thất bại) at being ignored. Your child cannot see why he should behave well when he feel so bad. Remember to be honest, though. Don’t try to acknowledge his feelings if you don’t understand what they are, as he will pick up on this and think you aren’t listening to him, which will add more fuel to the fire. But what if you try to the tactics above and you can still feel yourself getting angry? What can you do about it?